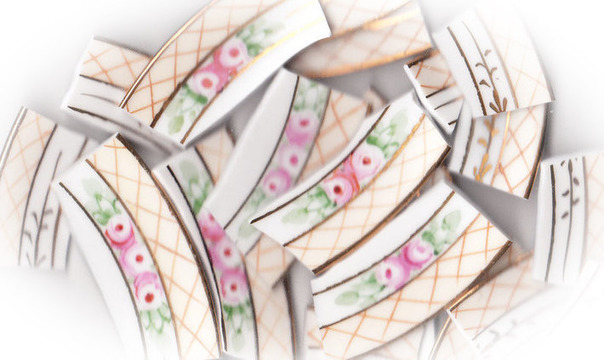 21 tiles from Nippon china plates. Pink rose, green leaves, gold accents, gold edge on off-white china. All rim tiles. You will receive 6 tiles with roses and 15 gold accent tiles. Rose tiles average approximately 2.00" wide and the gold accent tiles average approximately 1.00" wide.